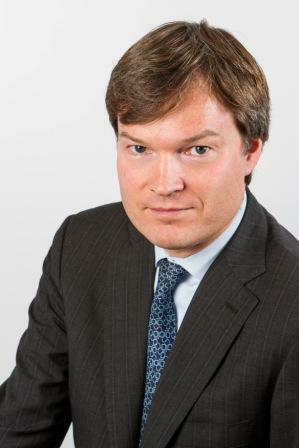 Steptoe is pleased to announce that Pieter Bekker has joined the firm’s International Arbitration Group as a partner. Dr. Bekker, who brings 20 years of experience in all aspects of cross-border dispute resolution, is based in the firm’s Brussels office, but will regularly work out of Steptoe’s London, Washington and New York offices. A Dutch native, Dr. Bekker focuses on international dispute risk management and resolution. He has particular experience in disputes involving public international law, in which he holds a doctorate. In international arbitration matters he draws upon a rich background, having practiced in both Europe and the United States in civil, common, and public international law. Dr. Bekker also advises private and public sector clients on a wide range of matters relating to private and public international law, including immunity, enforcement, investment, the law of the sea, treaty law, and state responsibility. He regularly represents sovereign parties, including states, state-owned entities and international organizations before both domestic and international courts and tribunals. Dr. Bekker has experience with a wide range of arbitration procedures, including those of ICSID; the ICC; the AAA, where he is listed on the panel of international arbitrators; the Cairo Regional Centre for International Commercial Arbitration; the Hong Kong International Arbitration Centre; and UNCITRAL. Dr. Bekker combines with the practice of law his position as professor of international law at the University of Dundee’s prestigious Centre for Energy, Petroleum, and Mineral Law and Policy in Scotland. Steptoe’s International Arbitration Group combines strong practices in cross-border litigation, international commercial arbitration and investor-state disputes. The group’s clients cover a broad spectrum, including individuals, governments and corporations engaged in energy, banking, construction, defense, insurance and supply operations around the world. The American Lawyer’s July 2011 biennial Arbitration Scorecard featured five of the firm’s arbitration cases. Dr. Bekker chairs the Committee on Intergovernmental Settlement of Disputes of the International Law Association’s American Branch, having previously served on the American Society of International Law’s Executive Council and Nominating Committee. He earned his undergraduate and doctoral law degrees from the University of Leiden in The Netherlands and a master’s degree from Harvard Law School on a Fulbright grant. He is the author of four books and dozens of articles and conference presentations on public and private international law. Along with his native Dutch, Dr. Bekker speaks English, French and German. He is a member of the New York and Brussels (B-List) Bars.